This fantastic highly upgraded home is exceptional. 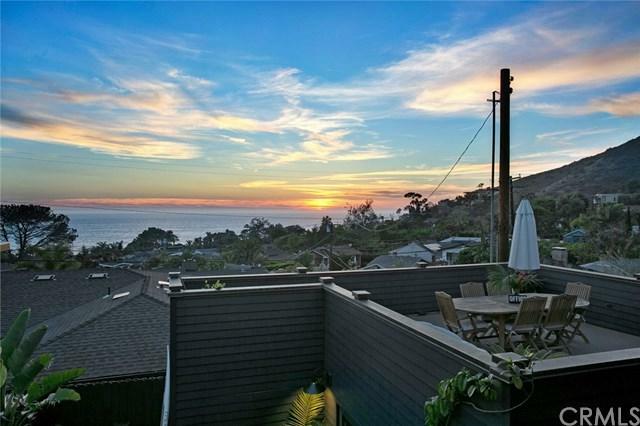 The house affords HUGE ocean and Catalina sunset views. 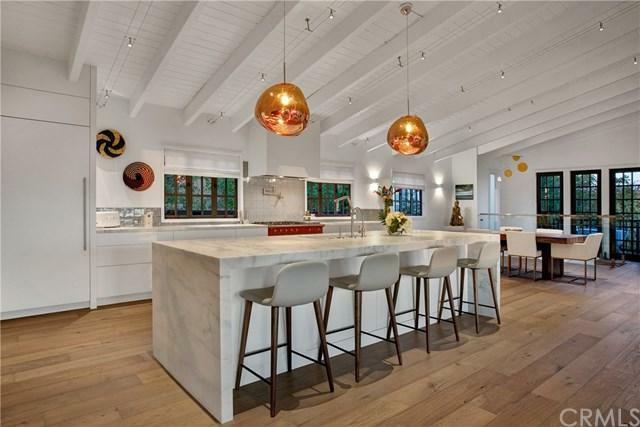 The entire home has undergone a massive renovation and has been meticulously modernized. 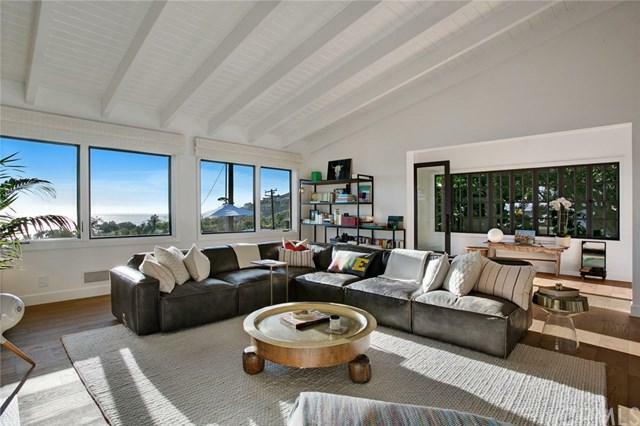 The house now features an open flowing floor plan with vaulted ceilings and luxurious finishes. The chef's kitchen is appointed with custom cabinetry, a French Lacanche range and 2 Sub Zero fridges along with a striking waterfall island of honed statuary marble. 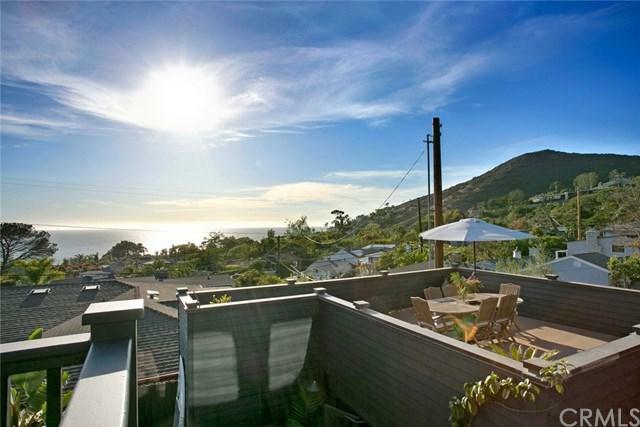 You can retreat to the comfort of a master suite that offers ocean views and bi-fold doors opening to a private deck. The resort like master bath has a freestanding stone tub and antique Calacatta marble floors and new windows. Downstairs has a large second living area with a fireplace and two over sized bedrooms and large bathrooms. There is also room to easily add a 4th bedroom if desired. This dream home is over 3000 Sq. Ft. and can suit any lifestyle. Outside the house is a comfortable living area that offers many entertainment possibilities thanks to the 3 decks, a large yard and lounge areas. The lush tropical landscaped yard has a Pebble-Tec salt water pool and spa with a grassy play area. The exterior has undergone major upgrades as well with new lighting throughout and a new whole house water filtration system. The home is located at the end of a quiet street with no drive by traffic and offers a great private space while being within walking distance of beaches, hiking trails, and restaurants. Sold by Shelly Reyland of Re/Max Coastal Homes. Listing provided courtesy of Michael Mullen of Surterre Properties Inc.